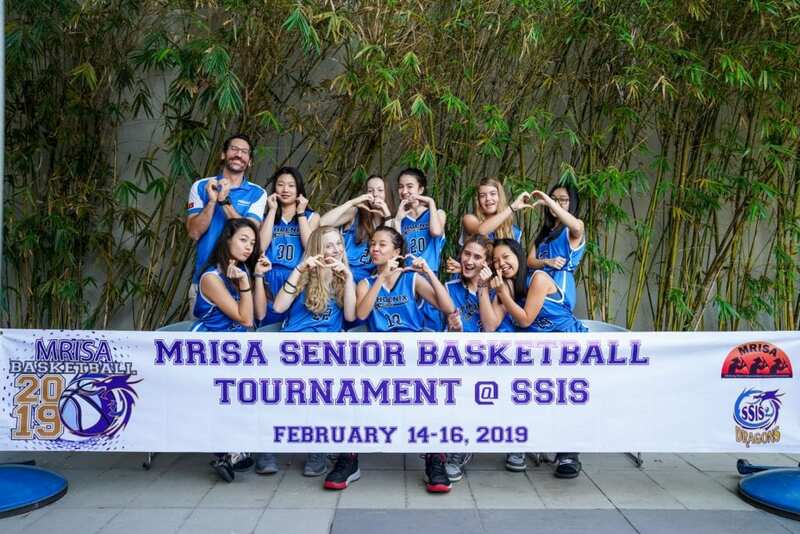 The JV Girls Basketball team capped off a very successful 2018-19 season at the MRISA Senior Basketball Tournament hosted by SSIS last week. 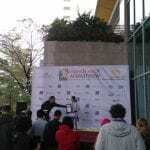 The tournament was a culmination of months of hard work. 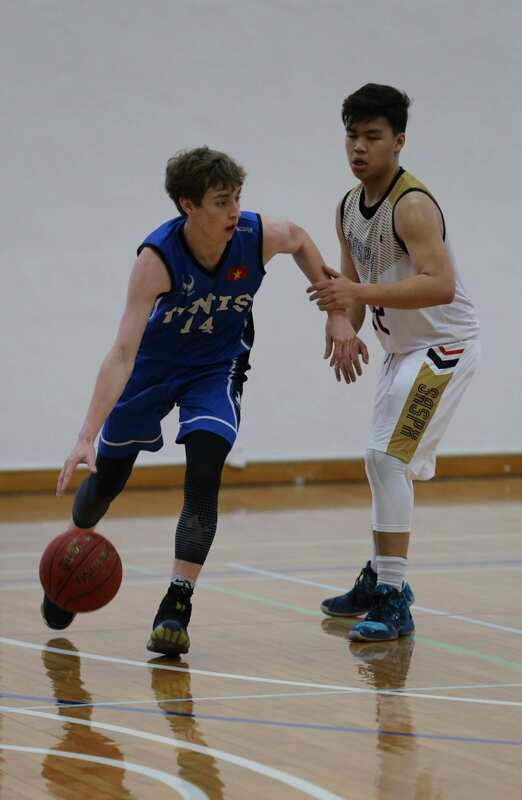 Eleven grade 9 and 10 athletes were selected for the team way back in November and they had to quickly mesh together as local league competition started immediately after the season began. The heart and soul of the team was held together by our Super Sophomores; Caitlyn F., So Eun K., and Thao D. Caitlyn and So Eun served as co-captains for the team. 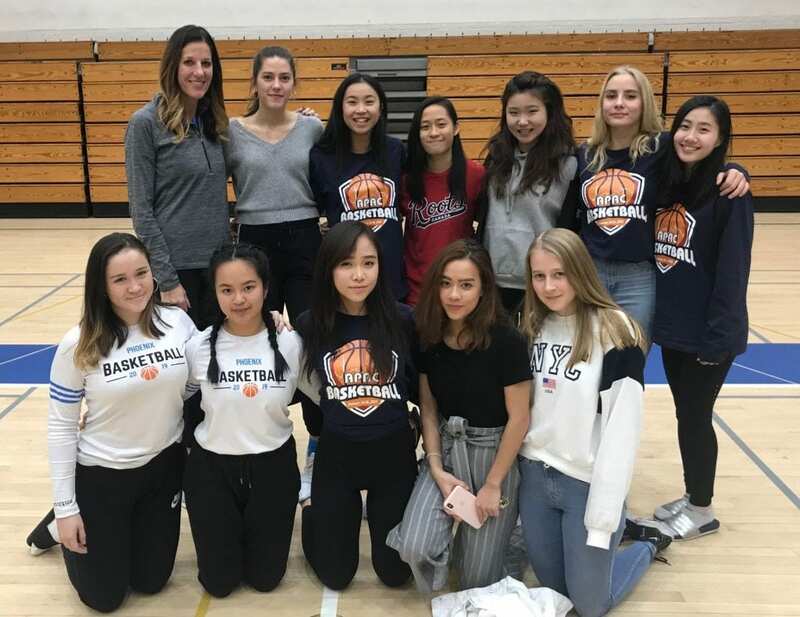 A group of athletic grade 9’s filled out the rest of the team and they hit the ground running – quickly racking up 7 straight wins all before Winter break against local opponents. 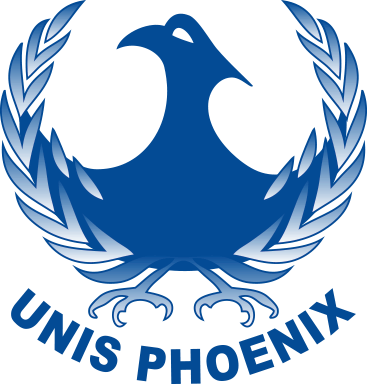 The Phoenix averaged 25.6 ppg while holding their opponents to just 12.3 ppg. 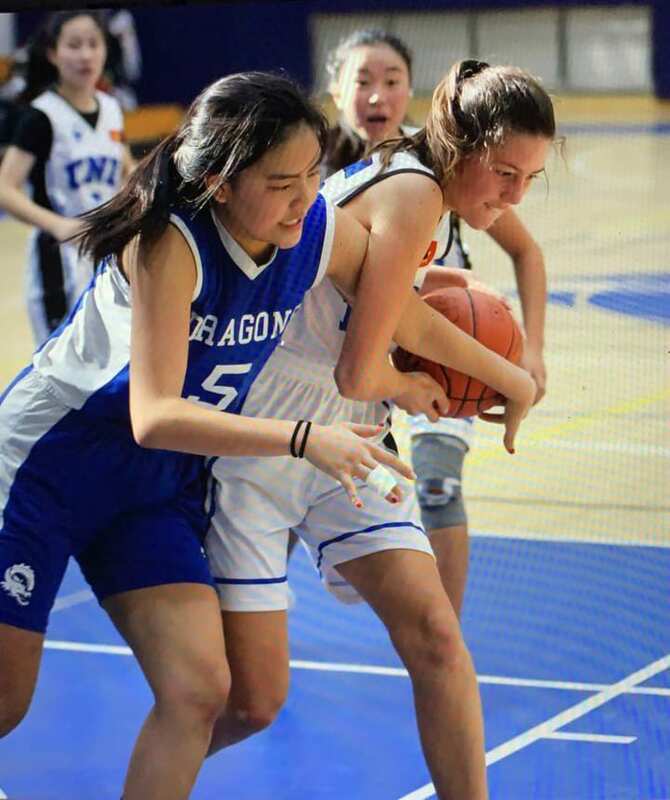 Our offensive fire power came from So Eun who led the team with 8.6 ppg and silky smooth Frosh Mia K. was not far behind with 8.4 ppg. Vicky M., Lieke V. and Annabel N. were major contributors on both sides of the floor providing the team with the necessary height and athleticism to give our team the best chance to win! 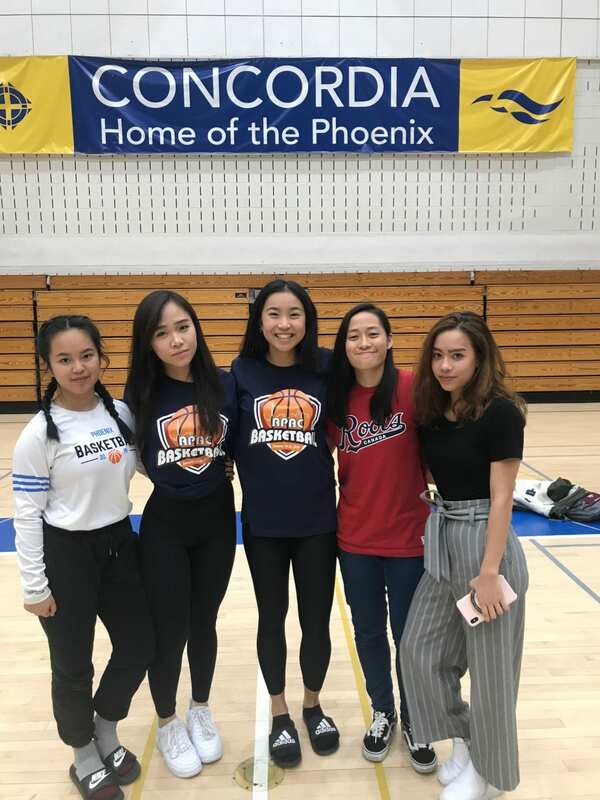 Mai An N., Audrey H., Didi B. and Anne Marie C., filled out the rest of our guards and despite all being new to the sport, they made huge strides of improvement with each practice and game! 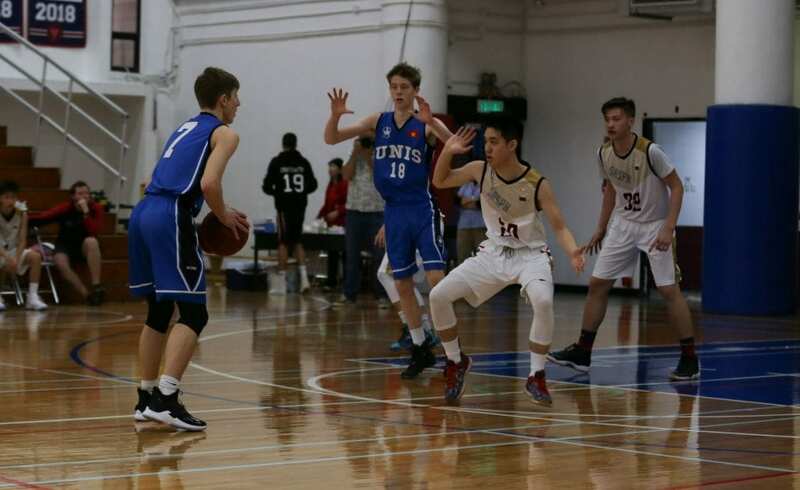 The season highlight most definitely came from our championship performance at the JV Asia-Pacific Invitational hosted at UNIS Hanoi in January. Our Phoenicians went undefeated in tournament play beating very competitive teams from ISKL, CDIHK, ISHMC, and RIS. This was the first time in the tournament’s history that the JV girls team brought home the championship! The next big date on the calendar was the HAC tournament hosted by SPAS. With the league title already secured our top-seeded girls felt confident coming into the one-day win or go home event. The team cruised into the final game, but met a tough Concordia team that came to play and was by no means intimidated by UNIS’s season resume. CIS handed us our first loss of the season which was very much a learning experience that we took to heart heading into our final challenge of the year in Saigon. The team knew MRISA was going to be an uphill battle as we faced off against strong U19 teams. We got out to a hot start on Thursday winning both games and went into day 2 with confidence. However, the second day was much more challenging as we faced the three dominant teams in the tournament and couldn’t find a way to win. With our top scorer, So Eun, out with an ankle injury, we knew we needed an inspired performance for day three. As the 4th seed, we made good work against the 5 seed which earned us the honor of playing the undefeated no. 1 seed ISPP. That team proved to be too much for us and a lopsided loss set us up for our next challenge; the 3/4th game against VIS. The girls played up to the competition fighting every second on the court. Ultimately the team lost by one but left the court with their heads held very high. Caitlyn represented UNIS Hanoi as our MVP and earned a spot on the All-Tournament Team. 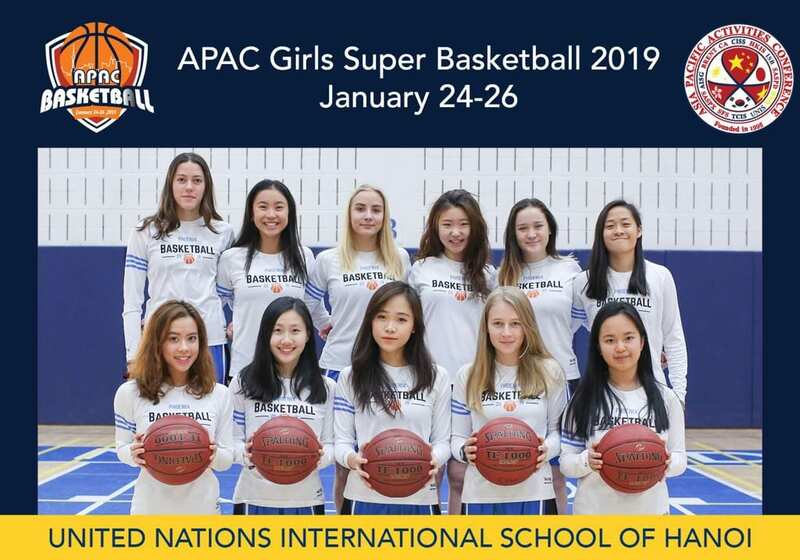 After winning 90% of their games in season, scoring an average of 42 points per game, and bringing home the HAC championship trophy, the APAC Girls Basketball team travelled to Shanghai on January 21 for their final, culminating tournament. This year, Coach Cortney and Coach Jackson selected several snazzy seniors – Thanh Le (co-captain), Uyen Trinh (co-captain), Linh Vu, Gia Han Le, Eliza Tu Thi Stelmach -, a couple jazzy juniors – Sian Rusinow, Co May Nguyen, Jinny Shin, Sophie Shroeder -, and two spazzy sophomores – Frances Phan, Josephine Schmitz. Apart from the occasional delicious brownie treats that Coach Cortney baked for us, we committed to providing our bodies with good food, our minds with good energy, and our muscles with physical torture. 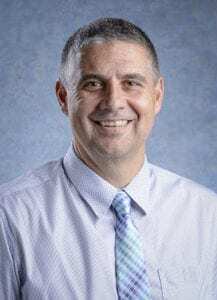 The 6 returning players made sure everyone knew the standards they needed to uphold and expectations they needed to meet not only for themselves but for the team. 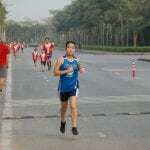 Eat well, sleep more, train hard, play together. Knowing the level of basketball we would encounter at APAC, we worked hard all season to not be surprised or intimidated by the big post players, the fast break layups, the full-court press, and the questionable referee calls. Our first game was greeted with some angst, some anticipation, but mostly the desire to win. Last year, we won against SFS by a slight 3-point lead to come in 5th overall. This year, we won again in overtime. Although we were unable to beat HKIS, the opponent of our next game, we stilled worked hard to take home a win against ISB and WAB in the following days. Throughout the 3-day tournament, we competed together, showed sportsmanship, and never gave up. 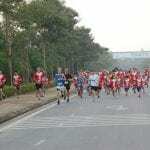 Like a sine curve, we had our ups, downs and inflexions points. The only constant is that Frances can always be found rolling, stretching, and massaging an injured body part. I want to give a special thank you to both my coaches for giving their time and effort for teaching us not only how to play the beautiful game of basketball but more importantly how to be a team. To my sophomores who inspire the team with youthful energy and so much talent. To my juniors who continue to show me what grit, hustle, and hard work looks like. And lastly, to my seniors, who made the final 33 seconds on court the most fun ever. Our season started with a core of returning players from last year’s squad, so right out of the jump we had experience and talent going into the season. With the addition of new players It was a little difficult at first for them to adjust to our system and team expectations but after hard work in practice and 3534 line drills they were integrated into our system and we became well rounded team. What was really special about our team was that we were all friends off the court which made it easier for us to play on the court which boosted our chemistry. What mattered most was not our basketball talent but the effort that every player put in and how everyone was willing to give their all for the team on the court. 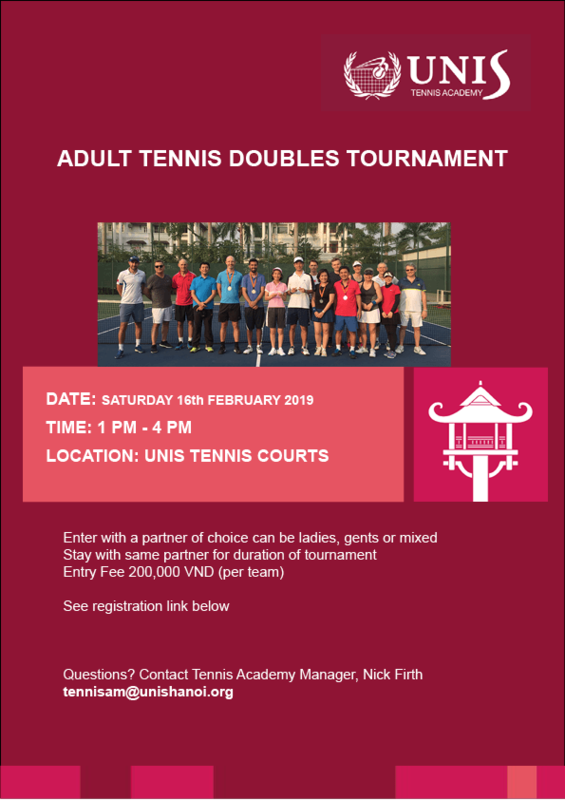 The second week of the season is when we started our league games against the other international schools competing for the HAC Cup and Championship. We were in cruise control the whole time and ended up being undefeated and lifting the HAC Cup and winning the Championship. 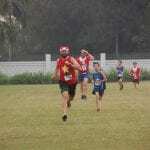 During the month of November our invitational approached. Our Bangkok invitational was our biggest test of the season at the time because it was our first time against high level competition. 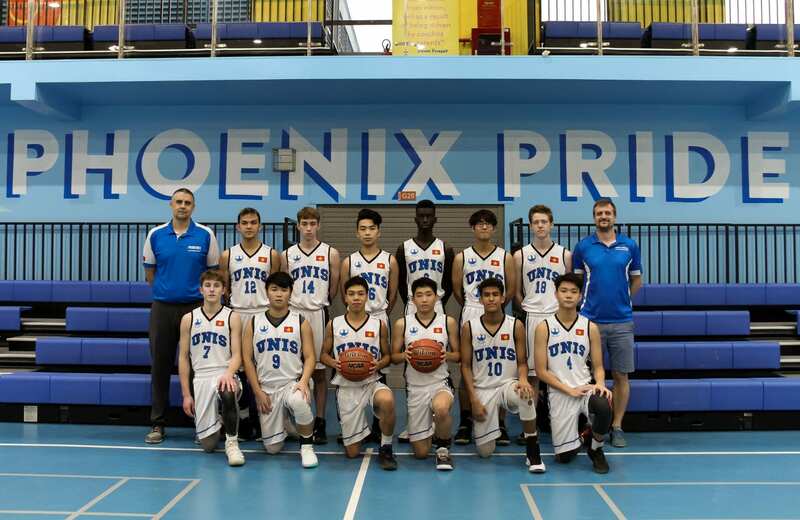 This tournament showed us where we were as a team, we surprised other schools and played a close game against the reigning IASAS champs ISB (International School of Bangkok). We showed that we can compete with top schools by placing 5th out of the 8 schools and finishing 2-2 at the tournament. Our culminating APAC event put us in difficult pools of play with the previous APAC champions from the last 4 years. Starting out 0-3 was a challenge, but our team did not hang our heads and we finished strong with three straight wins, finishing the tournament with a 3-3 record. We were the first UNIS Hanoi team ever to win 3 games at a APAC Super event which is a milestone. As the captain of this team I will forever be grateful for being part of this team, this is so far my favorite year playing basketball because of the coaches and players I am surrounded with. On behalf of the team we would like to thank our coaches Mr. Tarique and Mr. Taggart for their guidance throughout the whole season and showing us that the little things matter and that being part of a team comes with sacrifices and commitment. You guys pushed us to the very end and made it uncomfortable for us every practice, we might’ve not enjoyed it but deep down we know it was for our own good, we wouldn’t be the people we are to this day if it was not for both of you. Next year our team aims to come back stronger and hungrier than ever and hopefully lift gold at APAC. High school badminton and soccer begin on Monday, February 28, and middle school volleyball begins on Tuesday, February 26. 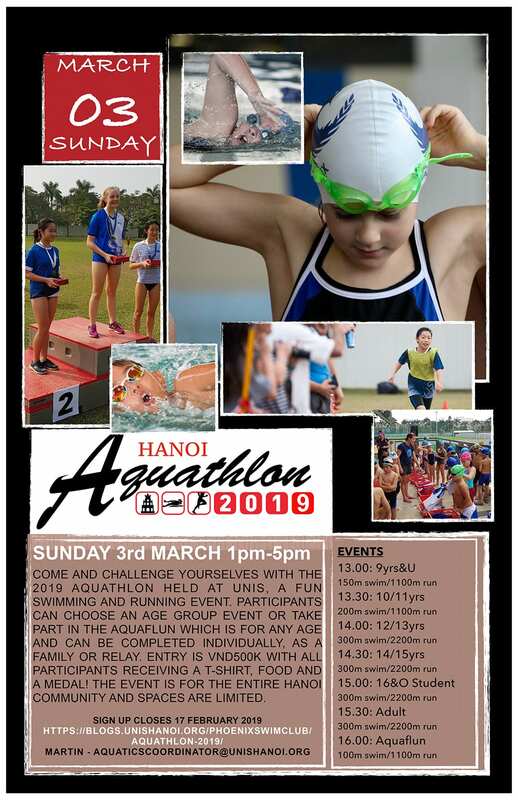 Students who are interested in MS or HS sports should make their way to the sign-up boards outside the UNIS Hanoi Canteen and register as soon as possible. Be on the lookout for more detailed information from your respective coaches. 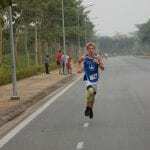 Iestyn Rusinow was also the overall 10km winner in the 2018 Halong Bay 10km race. Congratulations Iestyn! 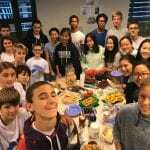 This brilliant and dedicated team of runners then celebrated their success by having breakfast together on Tuesday. See you all again on 5 March!